The proposal put forward by Chinese envoy Luo Zhaohui also includes prioritising finding an early solution to the border dispute between the two countries. China is willing to mediate talks between India and Pak if both sides accept it, Chinese envoy said. New Delhi: Amid increasing strain in Sino-India ties, China has proposed a four-point initiative to overcome differences and deepen relations which includes aligning its 'One Belt One Road' project with India's 'Act East Policy' and restarting negotiations on a free trade pact. The proposal put forward by Chinese envoy Luo Zhaohui also includes starting negotiations on a 'China-India Treaty of Good Neighbourliness and Friendly Cooperation' and prioritising finding an early solution to the border dispute between the two countries. 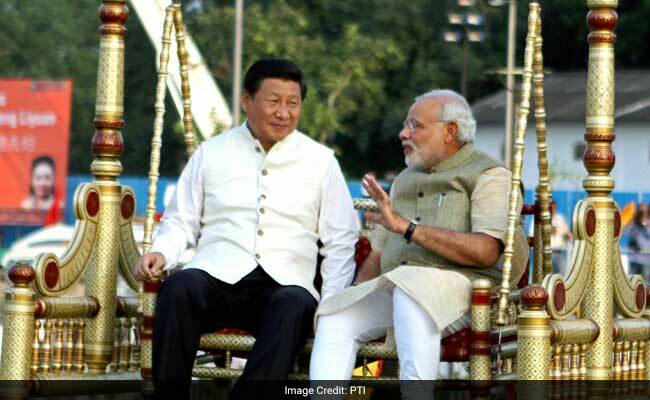 "Firstly, start negotiation on a China-India Treaty of Good Neighbourliness and Friendly Cooperation. Secondly, restart negotiation of China-India Free Trade Agreement. Thirdly, strive for an early harvest on the border issue. Fourthly, actively explore the feasibility of aligning China's 'One Belt One Road Initiative' (OBOR) and India's 'Act East Policy'," he said. The Chinese envoy made the remarks while speaking at defence think-tank United Service Institution on Friday but the text of his closed-door address was released by the Chinese Embassy yesterday. Referring to Indo-Pak ties, Luo said China is willing to mediate to resolve differences between the two countries if both sides accept it. He said good ties between the two countries were conducive to regional stability and in China's interests. "Otherwise, how could we open up and develop? That's why we say, we are willing to mediate when India and Pakistan have problems. But the precondition is that both India and Pakistan accept it. We do this only out of goodwill. We do hope that there is no problem at all," Luo said. "China supports the solution of the disputes through bilateral negotiations between the two countries. The CPEC is for promoting economic cooperation and connectivity. It has no connections to or impact on sovereignty issues," he said. "Even we can think about renaming the CPEC. China and India have had successful experience of delinking sovereignty disputes with bilateral relations before. In history, we have had close cooperation along the ancient Silk Road. Why shouldn't we support this kind of cooperation today? In a word, China is sincere in its intention to cooperate with India on the OBOR, as it is good for both of us," he said. The Chinese envoy said the OBOR and regional connectivity could provide China and India with fresh opportunities, calling the project a major public product China has offered to the world. "It is a strategic initiative aimed at promoting globalisation and economic integration," he said. Referring to the views in India that China always puts Pakistan first when handling its relations with South Asian countries, he said the government always follows 'China first' policy and that "problems" are dealt with based on merit. The envoy's four-point suggestion to overcome differences comes at a time when the relationship between the two Asian powers has been going through a rough patch due to differences on a range of issues, including China blocking India's move to get Jaish-e-Mohammed (JeM) chief Masood Azhar banned by the UN and its opposition to India's bid for NSG membership. On trade ties between the two countries, Luo said he was happy to see that China has contributed its share to India's development. "Today, China is the second largest economy in the world, with a GDP of 11 trillion US dollars. China's development also benefited from India's participation. "We sincerely hope that India can become more developed, as it not only benefits Indian people but also creates more opportunities for China's development. Some people in the West misread China and tend to think that the 'Dragon' and the 'Elephant' are inevitable rivals, and that China would not like to see India developing. This conception is wrong. We hope to see India develop well and we are more than happy to help India develop to achieve common development," Luo said. On combating terrorism, he said China has been a victim of terrorism. "China strongly opposes terrorism; second, China is ready to work with India, Pakistan, Afghanistan and the international community in fighting terrorism, and believes that terrorism knows no borders; third, countries need to have compatible policies, consensus and actions in fighting terrorism," he said.